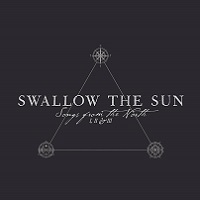 Going against the idea that no one listens to full albums anymore, let alone three, Finnish melodic doom stalwarts Swallow the Sun have started their term on Century Media with the daunting task of releasing three LPs at once. 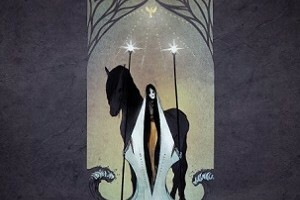 Titled Songs from the North, the album(s) have three individual focuses: Part I is traditional Swallow the Sun; part II is funeral doom, and part III showcases the band’s soft, acoustic side. Clearly, the Finns haven’t spent much time in the ‘ole United States, where attention spans are as long as this scribe’s hairline is short (read: nonexistent), but in terms of f-you career moves, this is one of the more interesting ones of late. 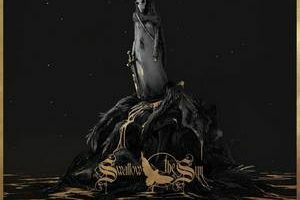 The “traditional” side of Swallow the Sun follows stays in the tract of voluminous, but not immovable riff-action, hummable clean vocals, then garish growls by Mikko Kotamäki (who quit his post on Barren Earth to focus solely on STS), all wrapped around the body of Scandinavian melodic doom. 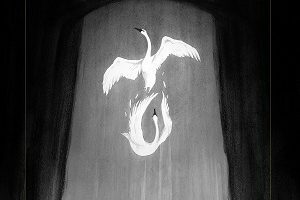 There’s loads to fest on in this department, most notably the forlorn opener “When You Came the Whole of Whole of the World’s Tears” and album highlight “Heartstrings Shattering,” which could be Kotamäki’s best moment across the three albums. Hard to get behind the somewhat whimsical “Lost and Catatonic,” but “From Happiness to Dust” settles the first disc nicely. Heading down funeral doom terrain was clearly the wrong decision for Swallow the Sun. Funeral doom, as we’ve come to learn, is a highly disposable, and un-engaging form of metal, one that begs for lazy songwriting. It’s no different on the second disc of Songs from the North. The false starts, pregnant pauses, and zero tempo doesn’t bode well for the Finns, as the cliché-bound “Pray for the Winds to Come” and “Before the Summer Dies” emerge as total non-factors.